6 hours behind Eastern Daylight Time. During Standard Time, the respective time zone differences would be one hour less. If you’re traveling from the US mainland to Hawaii, while the trip could be as long as 10 to 12 hours depending on the number of layovers you have, some of that time could virtually be made up since you will be “gaining” time by flying westward. 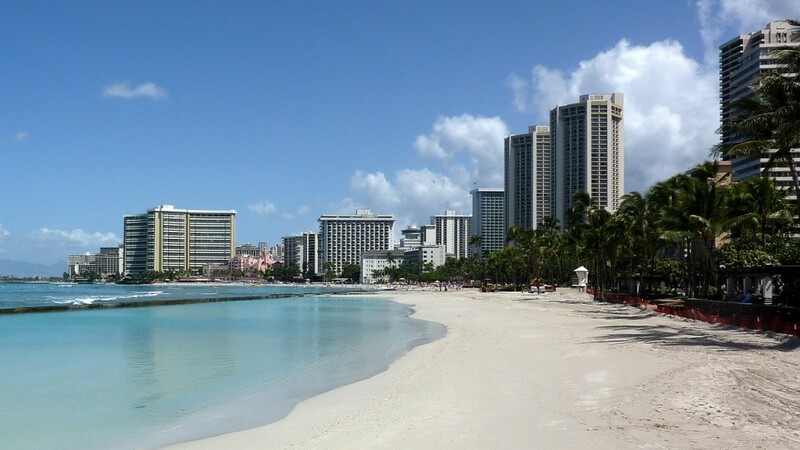 For example, if you flew from Denver to Honolulu departing at 8:00 am on a 7 hour direct flight, you would be arriving in Honolulu at around 12:00 noon, just in time to get a nice lunch at Honolulu International Airport when you land. The time zone differences between Hawaii, Asia and some Pacific Basin nations are even larger because such countries are a day ahead. Japan and South Korea are 19 hours ahead of Hawaii; while China and the Philippines are 18 hours ahead. Sydney, Australia is 21 hours ahead of Hawaii; while New Zealand is 23 hours ahead of Hawaii. The island paradise of Hawaii is known to be the most remote location anywhere in the world. Traveling to Hawaii involves, for most people, flying over long distances and moving through multiple time zones. But for virtually all who visit the Alohas State, the long journey is certainly worth the effort.